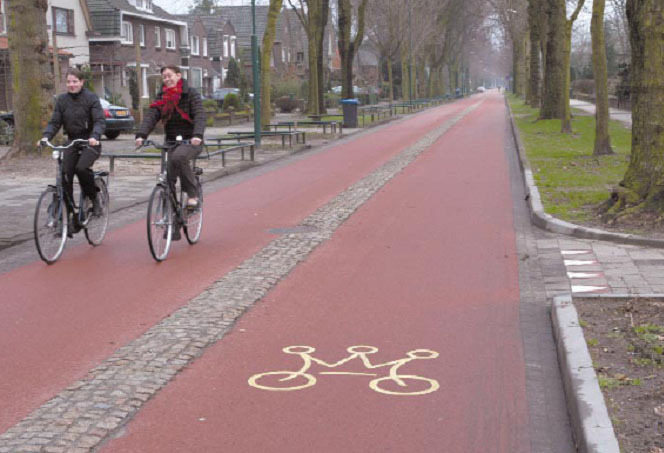 What is a Bicycle Street? 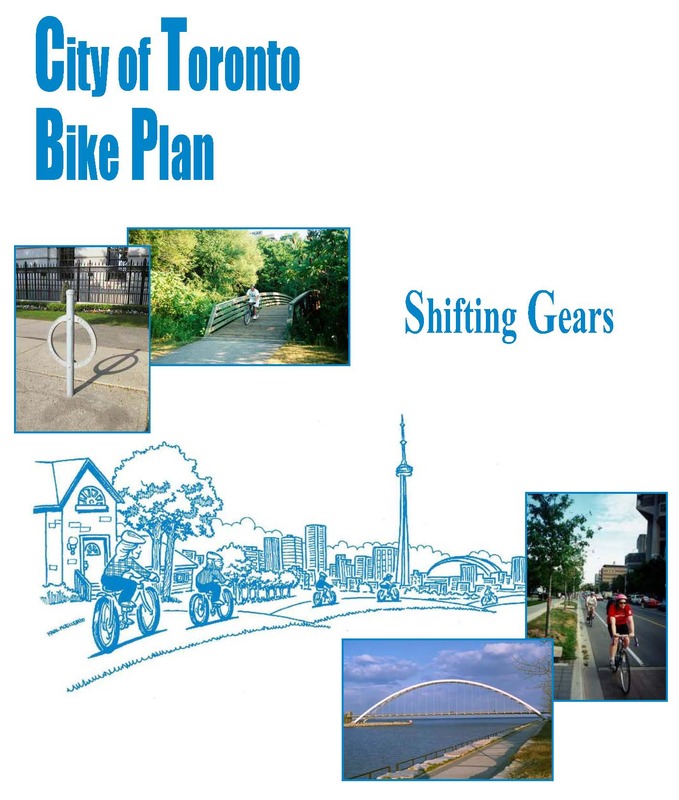 The Toronto Bike Plan of 2001 confidently states that “Every Toronto Street is a Cycling Street” (Chapter 4). If you cycle on a Toronto street, you’ll know that’s not the case. We don’t even have a word for them yet in English, but in other countries, urban planners are starting to experiment with what they call “Bicycle Streets”. What is a Bicycle Street? 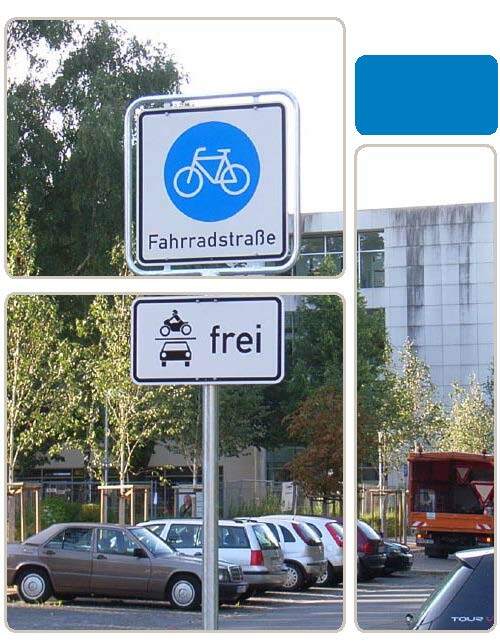 Here is an extract from a brochure put out by the city of Braunschweig, Germany. 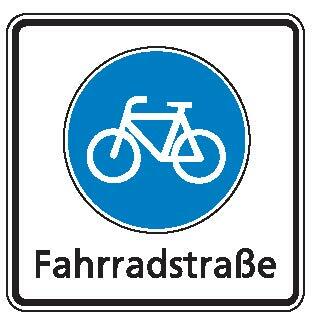 (You guessed right, “Fahrradstrasse” means Bicycle Street). Bicycle Streets support cycling. On Bicycle Streets, cyclists have the experience of being the primary vehicles in traffic, and they are encouraged to play this role. With the establishment of Bicycle Streets, the generally unquestioned priority of motor vehicles is reversed. If you see this sign, you are about to enter a Bicycle Street. As it says in the brochure, this means that the road is intended primarily for the use of bicycles. The entire road becomes a bike lane. The black and white sign beneath the Bicycle Street Sign allows motorists to enter, provided they live onthe road, or are delivering goods etc. And then they give way to cyclists and may not exceed the speed limit of 25 to 30 km/h. Other European cities are also starting to implement the idea. Here is what a Bicycle Street looks like in Delft. This entry was posted on Wednesday, August 8th, 2012 at 6:01 pm	and tagged with ARGUS, Bicycle Streets, Braunschweig, Delft, Fahrradwege, Toronto Bike Plan and posted in Uncategorized. You can follow any responses to this entry through the RSS 2.0 feed.